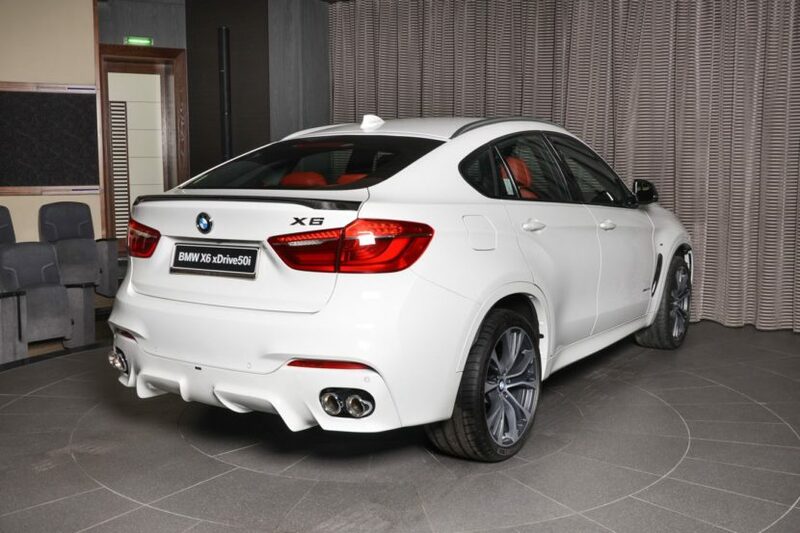 BMW X6 xDrive50i with M Performance Bits - Perfect Alternative to X6 M? 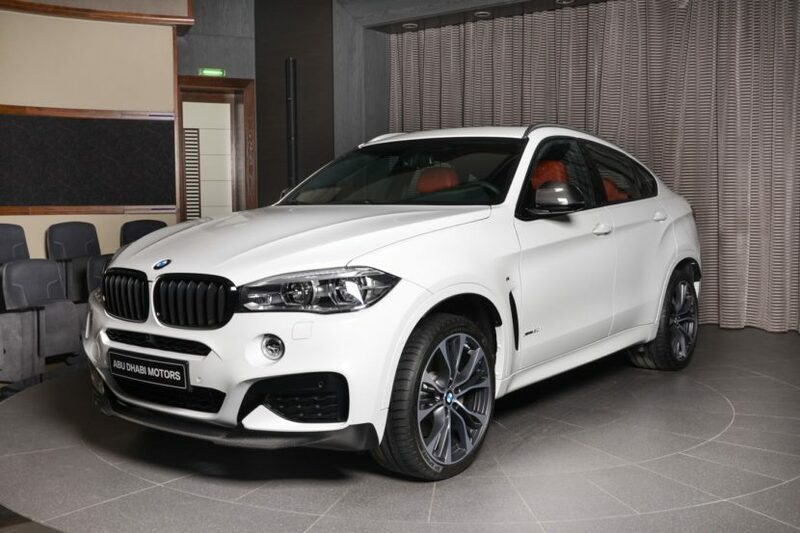 BMW X6 xDrive50i with M Performance Bits – Perfect Alternative to X6 M? The guys over at BMW Abu Dhabi recently delivered a BMW X6 xDrive50i model fitted with a plethora of M Performance bits and looking at the sporty demeanor of the SUV, we couldn’t help but wonder whether this might by a perfect alternative to a BMW X6 M. Some of the people who can afford these cars might actually prefer an xDrive50i model rather than the full-on M version? Madness you say? Maybe not. Don’t get me wrong, the big bruiser that is the BMW X6 M would definitely be my choice but it may not be for everyone. Sure, the xDrive system will offer you more confidence on the road but then again, 575 HP and 750 Nm of torque are numbers that could get you in trouble in a jiffy anyway. On the other hand the xDrive50i model also comes with a twin-turbo 4.4-liter V8 so the soundtrack is still there. It also has more than enough power for every possible scenario at 450 HP. Sure, the sound part might be less impressive than on a BMW X6 M but that’s exactly why this particular model was fitted with an AC Schnitzer full exhaust that takes care of such issues. Furthermore, on the design side of things, the M Performance bits made of carbon fiber and the M Sport package make this white SAC look almost as menacing as the full-on M model. Then there’s the rear diffuser that just doesn’t work, in my opinion. Last, but not least, the X6 M might be perceived as too harsh on the back by some. Sure, the adaptive dampers do a great job in Comfort mode but even so, the suspension of the M SUV is stiffer than that of any other model in the range. That’s something that some people are actually looking for in a big SUV like the X6 and might persuade them to buy the next best thing. What’s your take on all of this? Would you go for a car like the one in the gallery below or the biggest bruiser in the range?